Section 1.1 The “Preston Area Chamber of Commerce” (the Chamber) was incorporated under the laws of the State ofMinnesota on ______________, 2008, and is a non-profit, non-partisan, and non-sectarian organization. No official location is used, however a post office box (PO Box 123) is designated. Section 1.2 The period of this organization’s existence is perpetual. 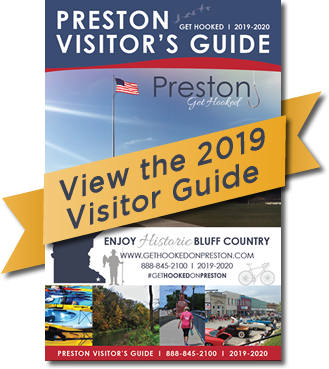 Section 1.3 The purpose of the Preston Area Chamber of Commerce is to advance the general welfare and prosperity of the City ofPreston and immediate surrounding environs so that its citizens and business community shall prosper. All necessary means of promotion shall be provided and particular attention and emphasis shall be given to the economic, civic, commercial, industrial, agriculture, healthcare and educational interests of the area. Any person, acting either as an individual, business or civic entity, or organization that supports the goals and purposes of the Chamber may become a member. 2.1.1 A current list of the names, addresses, telephone numbers and email addresses of all members shall be maintained at the office of the Chamber. 2.1.2 A member shall be entitled to one vote for the purpose of electing directors or transacting any business that may properly come before the members. 2.1.3 Dues shall be due annually. A member is considered to be in good standing if the member’s dues are paid in full for the current year. 2.1.4 A member may resign from the Chamber at any time. Dues are not refundable. 2.1.5 After giving written notice to a member whose dues, or other indebtedness to the Chamber, have been delinquent for a period of more than ninety (90) days, a majority of the Board of Directors may terminate the membership. Dues are not refundable. 2.1.6 After giving written notice to a member, and after an opportunity for a hearing has been afforded the member, a member may be expelled by a two-thirds vote of the full Board of Directors at a regularly scheduled meeting thereof, for conduct deemed to be prejudicial to the purpose or reputation of the Chamber. Each member or proxy shall be entitled to cast one vote. 2.2.1 Voting for Directors shall be by ballot at the annual meeting. The Annual Meeting of the corporation will be held each year in January, or as soon thereafter as possible, but no later than February. The time and place will be fixed by the Board of Directors and notices mailed to each member at least thirty (30) days before said meeting. A special meeting of the members may be called at any time, and for any purpose, by the President or Vice-president, the Board of Directors, or one-third of the members; and by providing written notice to all members, at least seven (7) days prior to the meeting, which notice shall state the purpose as well as the time and place of the meeting. A quorum for conducting business at member meetings shall be a minimum of four (4) Board Members. A Board of Directors consisting of seven (7) members shall manage the business and affairs of the Chamber. Each Director shall serve a 3 year term. At the time of incorporation there will be staggering terms of 3 Directors for 3 years, 2 Directors for 2 years, and 2 Directors for 1 year terms. The term of a Director shall commence at the first Board of Directors meeting following the annual meeting. The Board shall meet at least once each month at such time and place as determined by them. .4.2.1 A quorum for conducting business shall be four (4) Directors. 4.2.2 The Board may adopt rules for conducting the business of the Chamber consistent with the Chamber’s Articles and Bylaws. 4.2.3 The Board shall authorize three persons to execute checks on behalf of the Chamber. Any check written on an account of the Chamber shall require at least two authorized signatures. 4.2.4 The Board shall establish any committees required to accomplish the goals of the Chamber. 4.2.5 The Board is authorized to hire, direct and terminate any employee of the Chamber that they deem appropriate. 4.2.6 The Board shall submit in writing at the annual meeting a full report of the work and the finances of the Chamber. Any Director not fulfilling his or her duties may be removed from the Board by a majority vote of the Directors. The Board shall have the authority to fill a vacancy on the Board by appointment for the un-expired term of the position vacated. The officers of Preston Area Chamber of Commerce shall be President, Vice-president, Secretary, and Treasurer and such other officers as may be determined by the Board of Directors. The officers shall be elected annually by the Board of Directors at the first meeting of the Directors after the Annual Meeting. 5.1.1 The President shall preside at all meetings. 5.1.2 The Vice President shall preside at all meetings when the President is absent. 5.1.3 The Secretary shall keep minutes of all meetings and procedures of the Board of Directors, keeping a permanent record. The Secretary shall preside the meeting in the absence of the President and Vice-President. 5.1.4 The Treasurer shall collect and expend all funds of this Corporation, and keep a permanent and true record thereof. The Treasurer shall preside at the meeting in the absence of the President, Vice-President, and Secretary. 5.1.5 Each Officer shall have in addition to these duties herein set out, such additional duties as may be designated by the Board of Directors. The Board of Directors hires, directs the activities, and has the delegated power to terminate for cause, the Executive Director. 5.2.1 It shall be the duty of the Executive Director to conduct the official correspondence, preserve all books, documents, and communications, keep books of account and maintain an accurate record of the proceedings of the Chamber, Board of Directors, and all committees. He (she) shall have general supervision over all employees of the Chamber. He (she) shall perform such duties as may be incident to his (her) office, subject to the direction of the Board of Directors. At the expiration of his (her) term of office, he (she) shall deliver to the Board of Directors all books, papers, and property of the Chamber. The Chamber bank accounts shall be established by the Board of Directors as deemed necessary. The fiscal year is designated as January 1, to December 31. An operating budget shall be prepared annually by the Board and approved by the membership at the annual meeting. There shall be an annual financial review of the Chamber’s books and accounts in a manner determined by the Board. The Chamber shall use its funds only to accomplish the objectives and purposes specified in these by-laws and no part of said funds shall be distributed to the members of the Chamber. On dissolution of the Chamber, any funds remaining, shall be distributed to one or more organized and qualified local business promotions group, charitable, educational, scientific, or philanthropic organization to be selected by the Board of Directors. 7.2.1 No member, director or staff of the Chamber shall have any property rights in the assets of this Corporation. 7.2.2 Valuable papers and documents belonging to the Chamber shall be stored and protected in a depository designated by the Board of Directors. In case of the resignation or removal of the Treasurer, all books, papers, monies or property of any kind belonging to the Chamber under the control of the Treasurer shall be returned to the possession of the Chamber. No director may use their position or Preston Area Chamber of Commerce’s assets in any way which would result in pecuniary gain for them or for any member of their family, unless such gain is fully disclosed and the Board approves the transaction resulting in the gain after finding that it is fair and reasonable. The current edition of Roberts Rules of Order shall be the final source of authority in all questions of parliamentary procedure when such rules are not inconsistent with the by-laws of the Chamber. These bylaws may be amended at a regular or special meeting of the members, by a simple majority vote of the members. Download and Print the By-Laws here.